La Pointe St. Gilles is an excellent choice for those looking to enjoy a beach holiday in France. La Pointe St. Gilles is an excellent choice for those looking to enjoy a beach holiday in France. 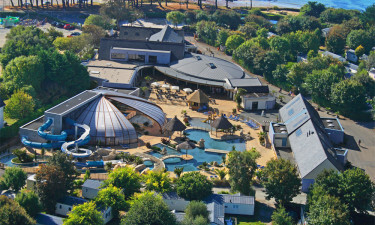 With its coastal location and easy access to the wonderful resort of Bénodet, this luxury camping site provides a great base from which to explore this part of Brittany. To book your mobile home accommodation, contact LUX-camp today. Why should I camp at La Pointe St. Gilles? 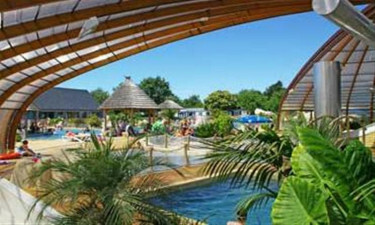 La Pointe St. Gilles is a luxury camping site that boats proximity to a beautiful beach, a family friendly environment and excellent facilities. 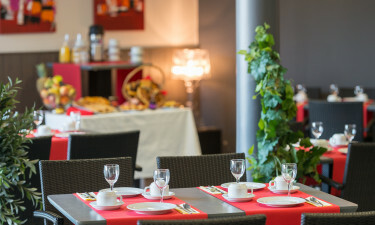 It represents a flexible choice for those looking to enjoy a stay in this attractive region of France. The swimming pool complex at La Pointe St. Gilles has been designed to accommodate the interests of those in a wide variety of age groups. The popular Lazy River, complete with waterfalls, grottos and slides, is a heated pool that attracts those of all ages. The dedicated indoor children's pool makes use of a number of features to add excitement for younger children, including mushrooms and waterfalls. For those who enjoy active holidays, there are plenty of opportunities for exercise, with an array of sports pitches and courts. At La Pointe St. Gilles, it's possible to make use of a football pitch, volleyball court, tennis court, boules pitch and a basketball court. The outdoor family pool is perfect for swimming lengths, or simply relaxing in the associated Jacuzzi. In regards to staying in mobile homes, there are a number of great choices available to you at La Pointe St. Gilles. A maximum of 6 guests may stay in each of the mobile homes on the site, while charcoal BBQs are welcomed, enabling all guests to experience outdoor cooking and dining during the course of their stay. A car or motorbike may be parked on each pitch, with additional vehicles being permitted at a small extra charge. The luxury camping site has been designed to be fully accessible, including the swimming pool, which includes a sloped entry point. As would be expected, shower areas, reception, the bar and restaurant are also wheelchair friendly. Security bracelets are issued on site and a barrier is in operation at the site entrance, providing a secure environment for all guests. The restaurant is located close to the spa and boasts a terrace area, enabling outdoor dining within this luxury camping environment. Good quality cuisine is offered at affordable prices and the restaurant is open during peak season, as is the bar. An on-site shop is open throughout peak season, offering basic provisions, including food, drink and toiletries. 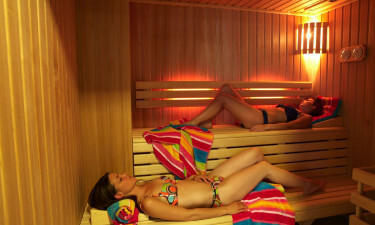 Holiday essentials are readily available, enabling guests to enjoy their camping holiday.